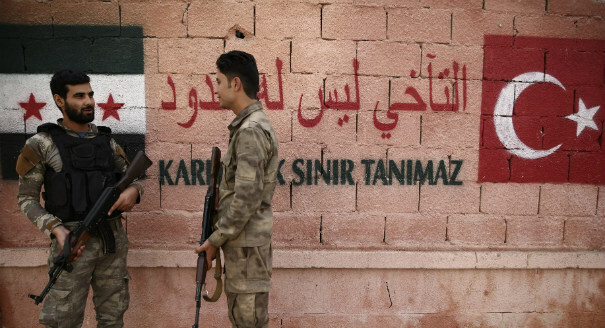 Ankara’s scare tactics in Afrin and state building in Azaz highlight Turkey’s continued attempts to inhibit Kurdish expansion, yet neither approach is sustainable. Syria and its neighbors all have a vested interest in resuming agricultural trade to increase food security across the region. Russia is primed to benefit economically from an influx of foreign investment in Syria, but an emerging rivalry with China and Iran for contracts could erode its long-term leverage. Although the Islamic State has lost its stronghold in Hajin, instability within disputed territories provides opportunities for it to survive in both Syria and Iraq. New legislation to regulate the Ministry of Awqaf in Syria aims to prevent any uncontrolled religious mobilization in a post-war Syria. Instead of putting its full strength behind unifying Syrian rebel groups, Ankara is slowly supporting that process without disturbing the status quo. The Assad regime’s recent victories in southwestern Syria provide Jordan an opportunity to open the border and pursue reconstruction that could encourage refugees to return. In Idlib, Turkey could deter Russian airstrikes and ensure the region remains out of the Syrian regime’s control by going after extremist groups. Russia has successfully used local ceasefires and international negotiations to cut off rebel strongholds and co-opt regional powers to support its offensives. Syrians’ efforts to survive aerial bombardment in Eastern Ghouta have left them more vulnerable to chemical attacks. Under increasing financial pressure, states hosting Syrian refugees are pressuring them to return whether conditions in Syria are safe or not. Turkey’s military incursion into Kurdish-controlled northern Syria risks straining diplomatic ties and exposing Turkey to increased terror threats. Though challenges remain, Turkey is pushing forward with efforts to integrate Syrian students and teachers into its education system. Local authorities and international actors alike have serious questions to consider about how to stabilize the region. Is Reconstruction Syria’s Next Battleground? The Syrian regime is turning to reconstruction to boost legitimacy and consolidate control, a process that also benefits its external allies. Local councils in Syria may form the basis of a post-conflict government with broad legitimacy, but only once their roles and powers are more clearly detailed. Despite the inherent challenges of finding a long-term solution to Lebanon’s refugee crisis, its focus on short-term responses could worsen social and political cleavages and foster new forms of marginalization. Hezbollah and Russia have enjoyed close cooperation in Syria, but their military successes could undermine Hezbollah’s hopes of playing a major role in the country post-conflict.